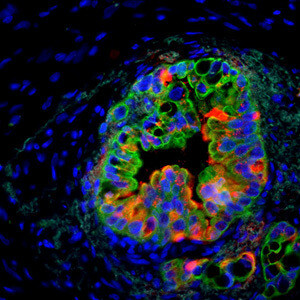 Tumours have grown around the pancreas to encompass critical blood vessels in about a third of all pancreatic cancer patients, with conventional wisdom suggesting that surgery to remove the tumours is rarely an option, and life expectancy is usually measured in months. Now, Mayo Clinic has teamed up oncologists, radiologists, gastrointestinal and vascular surgeons and others, finding that many of these patients actually are candidates for surgery by fine-tuning a protocol to treat them, and in two studies, found survival now stretching into years. The findings were presented at the Pancreas Club and Society for Surgery of the Alimentary Tract annual meetings in San Diego. About 50,000 people are diagnosed with pancreatic cancer each year in the U.S. and historically, only about 7 percent of patients have lived at least five years after diagnosis. Because the cancer tends to spread before symptoms appear, it is found early enough to make surgery a clear-cut option in only about 15 percent of patients. 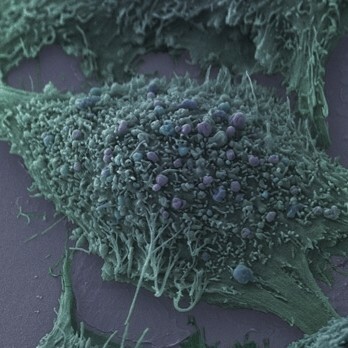 In about half of patients, the cancer has spread throughout the body by the time it is diagnosed, ruling out surgery. In one-third of patients, cancer hasn’t spread through the body, but has grown around veins and arteries in and around the pancreas. For decades, surgery was considered too risky and ineffective to be performed in most of those patients. The Mayo studies chronicle a transformation in treatment for these patients. In the study presented at the Society for Surgery of the Alimentary Tract annual meeting, researchers analysed surgical outcomes for the past 25 years among such stage 3 patients who had surgery requiring removal and reconstruction of arteries. They found that most of the operations on this group were performed in the past five years, since the advent of improved chemotherapy and radiation. Although these surgeries carry more risk than operations not requiring removal and reconstruction of arteries, there appeared to be a significant long-term survival advantage in patients treated with chemotherapy and radiation followed by such aggressive operations. Those who had surgery without chemotherapy or radiation first didn’t do well long-term, while patients who had chemotherapy and/or radiation before surgery did significantly better long-term, the researchers found. 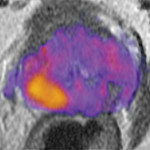 Looking at short-term outcomes, they discovered that complication rates have decreased over time. In the study presented at the Pancreas Club meeting, researchers analysed modern surgical outcomes for stage 3 patients whose tumours involved blood vessels and who had a specific protocol of chemotherapy, radiation and aggressive surgery. - Those who receive more chemotherapy before surgery. - People who have a particular tumour marker known as CA 19-9 that returns to normal after chemotherapy. - Those whose tumours, when analysed after removal, are found to have only minimal cancer left. The study also found that in a majority of patients, CT scans before surgery showed that their tumours didn’t shrink after chemotherapy. However, when the tumours were removed, it turned out most of the cancer was dead. Dr. Truty said he hopes patients feel a sense of optimism, that there are options.